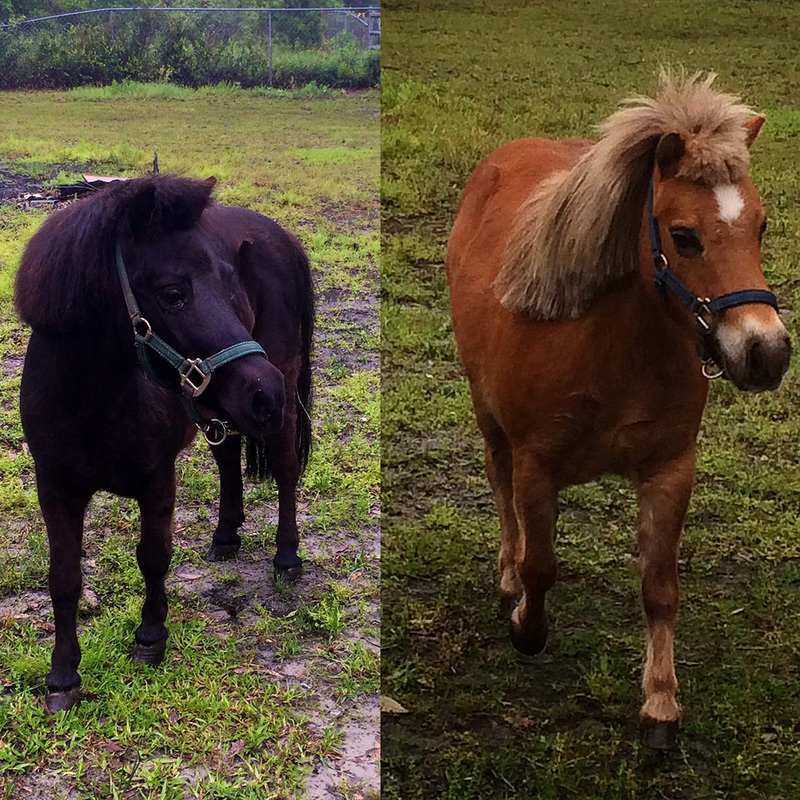 Shelby and Morningstar are two very bonded mini horses who are around 12 years old. Shelby is a beautiful, solid black little girl at only 28" tall. She loves being groomed! Morningstar is a gorgeous chestnut color with a big star on her forehead and is 29" tall. Morningstar is trained in driving; in other words, she can pull a cart!